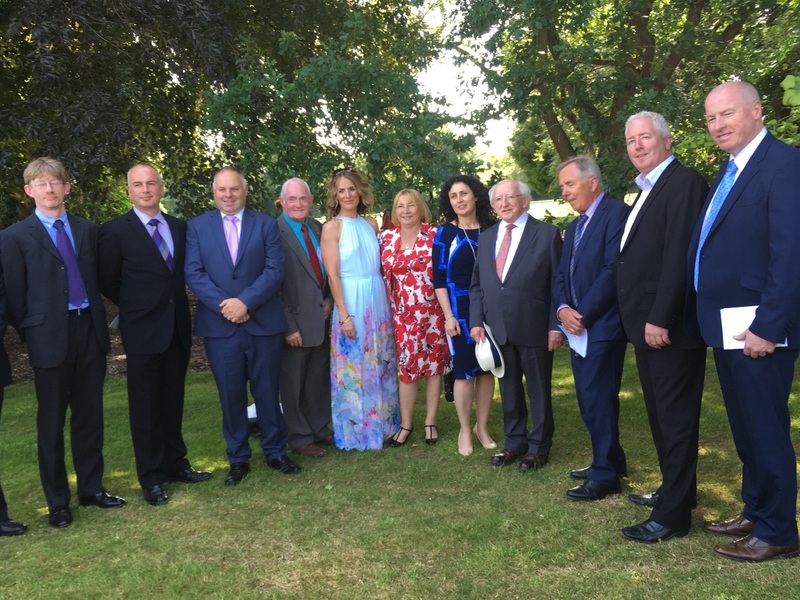 20 members of the Achill Community were invited to attend a Garden Party in Áras an Uachtaráin, hosted by President Michael D Higgins and his wife Sabina. The Achill invitees made up a crowd of over 400 attendees from 24 islands all around the coast. Mrs Higgins greeted each person as they arrived to the Áras and the President chatted and posed for pictures in their private gardens to the rear of the house. As a politician President Higgins was a minister that represented the islands for which he continues to share an infinity and love for these communities. He spoke of each Islands individualities and strengths. From tourism in the summer to the storms of winter where many islanders can feel isolated and cut of from access for weeks on end.